Coalition proposes models for collaboration between governments to enhance the experience of Hong Kong’s domestic workers and their employers. Ground-breaking summit aims to unite governments, employers and workers rights groups. The Domestic Worker Round Table (DWRT) - which is sponsored by the University of Hong Kong’s Centre for Comparative and Public Law (CCPL) of the Faculty of Law and the Hong Kong Public Interest Law & Advocacy Society (PILAS) – adopts a unique approach to enhancing the rights and experiences of domestic workers in Hong Kong. The DWRT hosted a ground-breaking first-of-its-kind summit today (April 25) at the University of Hong Kong. It brought together multiple key stakeholders, both government and non-government, working on these issues and provides a structured, multi-level platform for all concerned parties to address critical issues that impact the situation of domestic workers in Hong Kong. The governments concerned include the HKSAR and the sending states of Hong Kong’s domestic workers, including Indonesia, the Philippines, Sri Lanka, Thailand, Bangladesh, India, Nepal and Myanmar. Representatives of these sending states participated in the Roundtable. The one-day consultation also included NGOs, domestic worker rights groups, academics, law firms, employer rights groups, labor unions and representatives from the private sector in an attempt to foster continuing dialogue and concerted action on domestic worker issues. 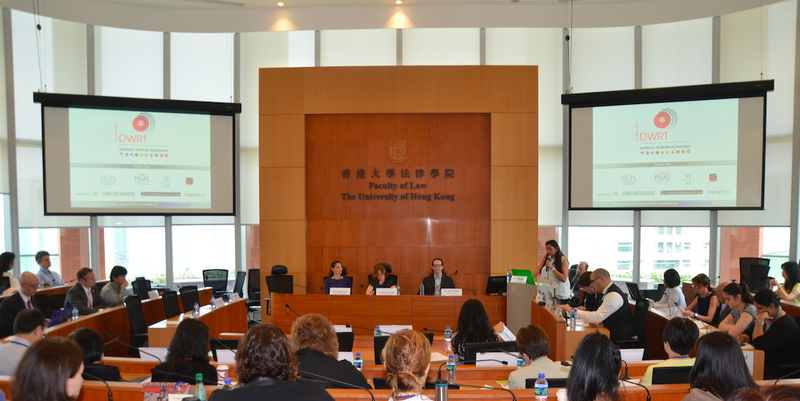 The primary issues discussed included: financial abuse by placement agencies and access to justice in the HKSAR to facilitate a more systematic approach to tackling the challenges posed to domestic workers in Hong Kong. The coalition aims to facilitate better cooperation between the governments of Hong Kong and domestic worker sending states. It hopes to enhance the worker transition to life in Hong Kong, to empower both employers and domestic workers and to focus their collective energies on dealing with exploitative employment agencies and money lenders. Through a roundtable process, the coalition hopes to collaboratively improve Hong Kong’s domestic migrant labour system, as this system is increasingly important to Hong Kong’s long-term prosperity and status as a well-developed legal jurisdiction. “This is the first time that such a wide range of stakeholders has collaborated on Domestic Worker issues.” said David Bishop, of the Fair Employment Agency. “We believe this is a very positive sign that progress can be made, and we plan to continue the process until we achieve our goals,” he continued. Migrant labour has traditionally played an important but often undervalued role in the development of Hong Kong. “The need for domestic labour in Hong Kong continues to grow, as the population ages and as incomes rise, and therefore it is important that the system works for everyone: the employers, the domestic workers, and the respective governments,” emphasized Allan Bell, a director of PILAS, co-sponsor of the DWRT. 1. It is encouraging the establishment of an Intergovernmental Working Group on Domestic Workers between the Governments of the sending states and the HKSAR to ensure co-operation at the policy level and to help improve the regulation of, and law enforcement against, domestic worker employment agencies and money lenders in Hong Kong and in the sending states. 2. It is calling for a mandatory induction and orientation process to include support and participation from the Hong Kong Government, sending states, employment agencies and NGOs, in line with best practices in other regional jurisdictions. 3. It is calling for the establishment of a joint Police-Immigration-Labour Domestic Worker Incident Reporting Unit and an Inter-Departmental Working Group between the HKSAR Government’s Departments of Immigration and Labour to cooperate in areas such as cross-jurisdictional issues, enforcement against rogue agencies and data monitoring and collection. Members of the DWRT recognize the important role that foreign domestic workers have had on Hong Kong’s economic development, which include allowing an increasing number of local women to join the labour force and caring for the elderly. However, this system has been threatened in recent years by unethical and sometimes illegal actions of stakeholders within the system, including placement agencies and money lenders. The DWRT recognizes the efforts of both sending states and the Hong Kong government to improve conditions for domestic workers in recent months. The primary aim of the Roundtable is that through increased cooperation and transparency, Hong Kong can become a model jurisdiction for the rest of Asia to follow. For media enquiries, please contact Dr. Sherif Elgebeily email: ccplaro@hku.hk; tel: 39171938.